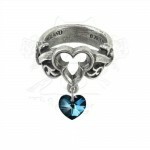 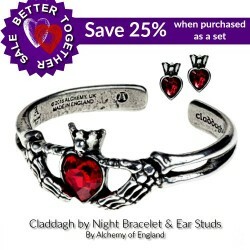 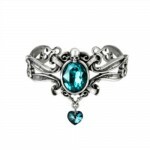 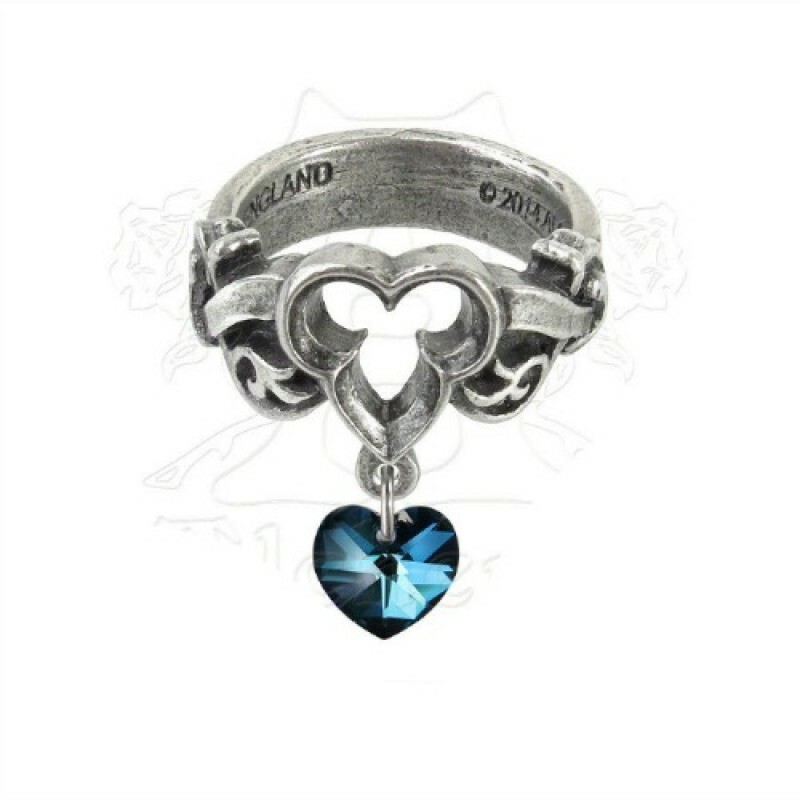 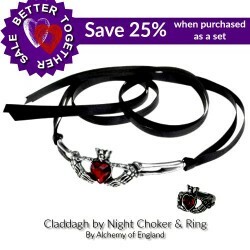 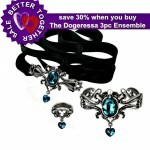 Save 30% on The Dogaressas's Last Love Bracelet, Ring & ckoker. 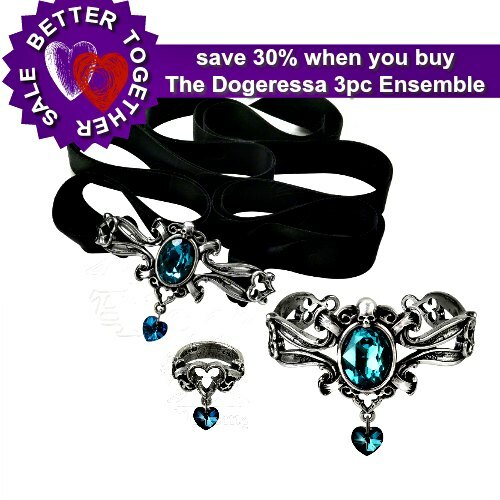 The once almighty power of the Doge of Venice was coming to an end, with the Doge himself, slipping from life. 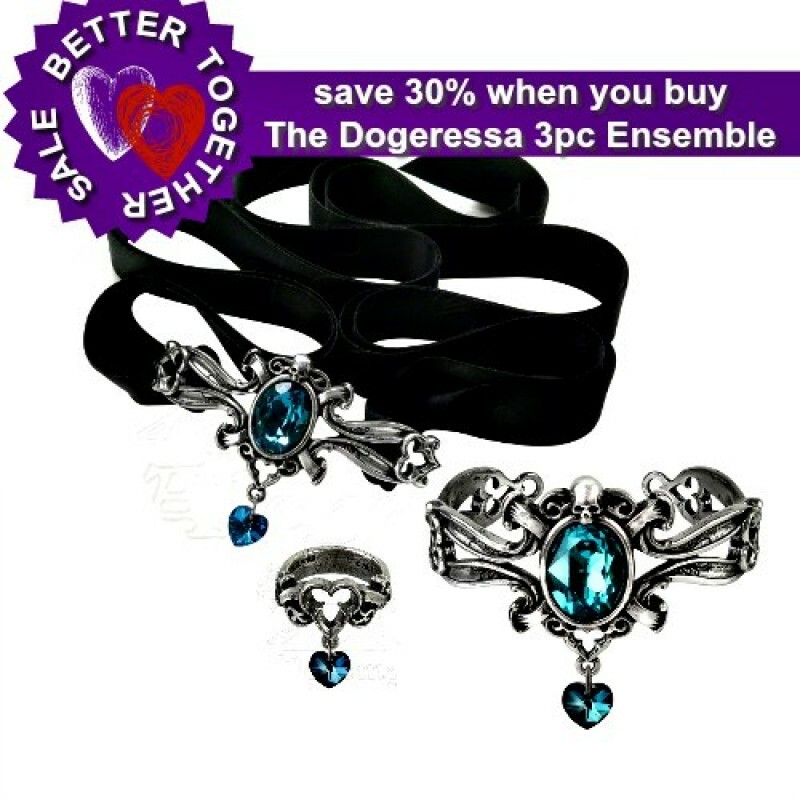 From the rich regalia of office, here is a last token of forlorn devotion to the bereaved Renaissance Lady of the Palace. 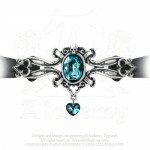 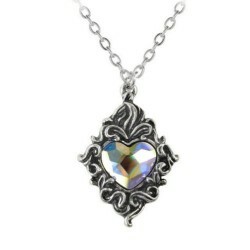 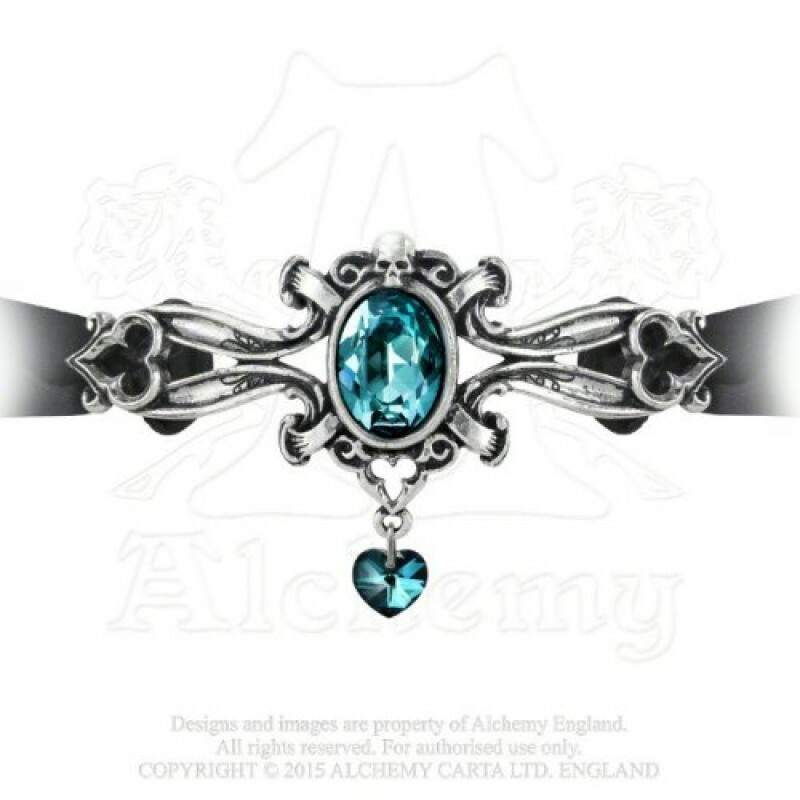 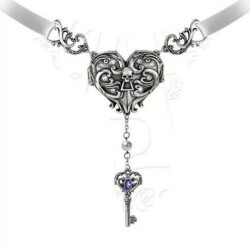 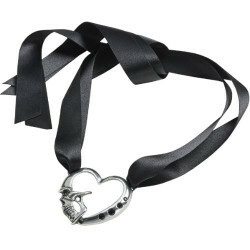 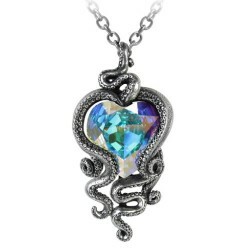 This pewter choker is styled amongst Baroque scroll-work, set with a large Swarovski crystal and with a matching crystal heart dropper, on a black satin velvet hand-tie ribbon.